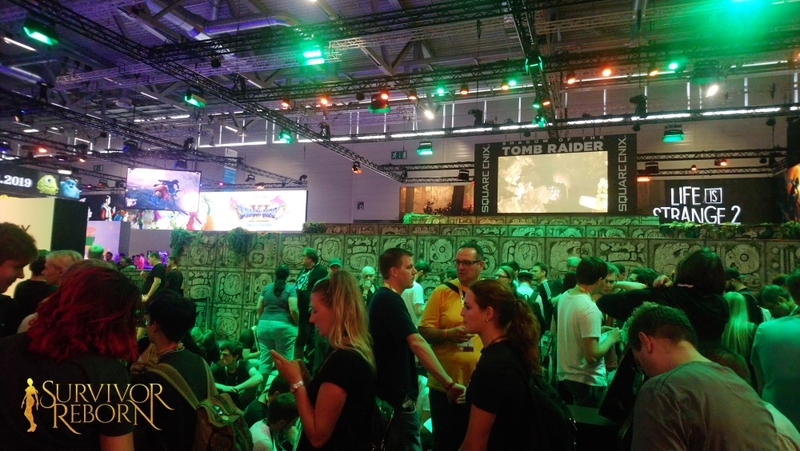 Shadow of the Tomb Raider arrives on the world stage in a little over a fortnight, but our writer-editor Jenni Milward (c’est moi) was able to get a sneak-peek at the recent GamesCon 2018 in Köln, Germany, thanks to the OFP’s Ambassador Program sponsored by Square Enix. So buckle up and make yourself comfortable as I share some of my impressions of this amazing – and crazy – adventure! 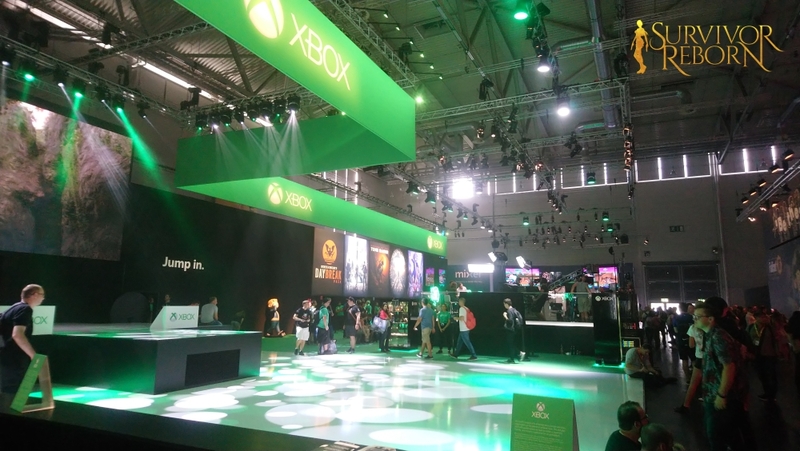 GamesCon takes place at the truly ENORMOUS Koelnmesse complex in the city of Köln (Cologne), in the west of Germany. Due to numerous health problems, I was nervous (yeah, understatement!) but still determined to embrace this amazing opportunity. I was fortunate enough to be travelling with two other OFP Ambassadors: JoJo from Lara’s Backpack, and Lucas from Croft World. (The BEST travelling companions ever, by the way. (Don’t worry: the cheque is in the post…)) We were due to fly out of Heathrow at 07.25am (eek!) on the morning of the 20th, which meant that us non-Londoners (i.e. Jojo and I) stayed at a hotel near to the terminal building for Sunday night. 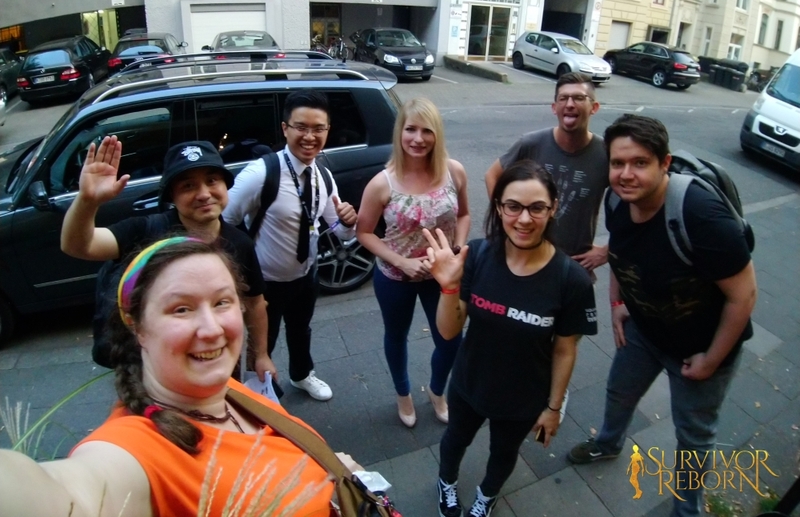 After a dark, muggy start at 04.00am we were off, landing in Düsseldorf mid-morning and meeting up quite serendipitously with some of the other Ambassadors: Sergio from Croft Generation, Dani from Tomb Raider World, and Alejandro from Alex’s Tomb Raider Blog/Tomb Raider World. 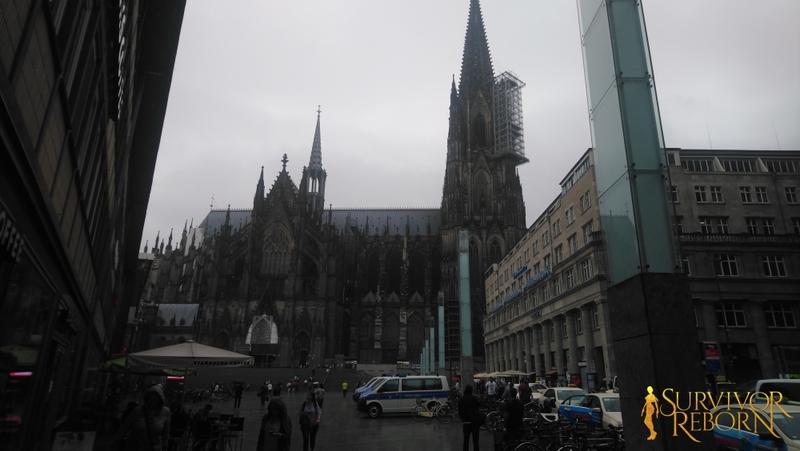 Together, we took the train to Köln and finally caught a taxi to the Dorint Hotel where we all collapsed with relief (and ample cups of coffee) as other Ambassadors started arriving in ones and twos. The rest of the day was – for me – spent recuperating after the journey and preparing for the madness of the convention that was to come. It was wonderful to meet with the other Ambassadors and chat about our journeys and what we were looking forward to seeing. A special mention must go to Zou, of Tomb Raider China. Zou was (at the time!) unable to speak English or German, yet he embraced the Ambassador program with enough dedication for ten people and astonished us all with his energy, kindness, and sense of humour. No sooner had we met in the hotel lobby than he started handing out opulent, hand-painted silk scrolls to the other Ambassadors as gifts! Needless to say, none of us had expected anything like this and were, as one, bowled-over by Zou’s generosity and the artistry of his presents. 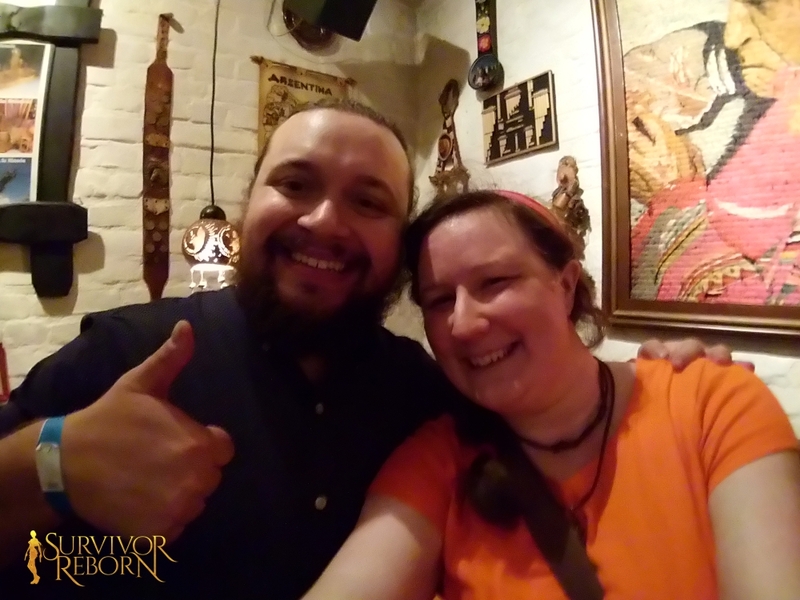 Although Zou wouldn’t meet his human translator until the next day (relying until then on a pocket translator device), we had a wonderful time chatting to him. Zou, we salute you. You can follow him on Twitter and see more of his incredible photographs, artwork, and more! 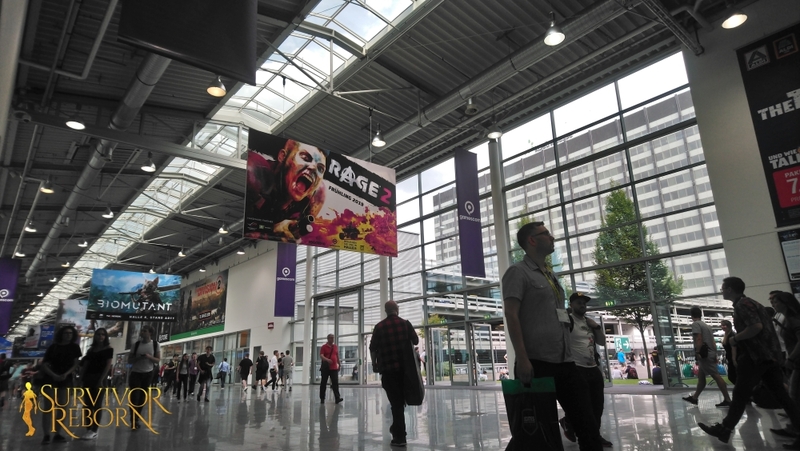 There was an Nvidia presentation that evening which, sadly, I didn’t attend; surviving the next few days would take all my reserves so I wanted to take the opportunity to rest while I could – dosed up with painkillers and good food. The next morning – the 21st – saw us enjoying a splendid buffet breakfast (did I mention the food and drink in Germany is to die for? ), then head off in a parade of taxis to the Koelnmesse. This was a press-only day, not general admittance. In other words, the crowds were large but not Hell-on-wheels insane. Again, thanks are due to JoJo and Lucas for their patience as I wobbled my way around the halls with my cunning zebra-striped cane. You guys really helped me enjoy the day… and what a day! Approaching the South Entrance. This is ONE hall, out of ELEVEN. 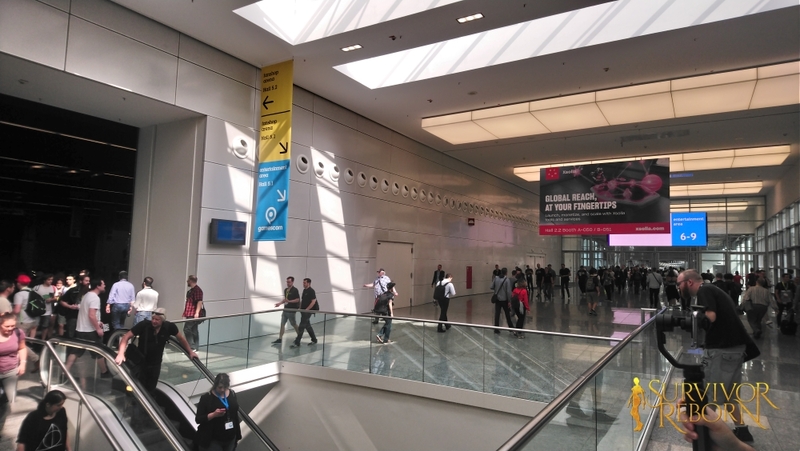 One of the boulevards linking the exhibition halls. NASA would be proud! 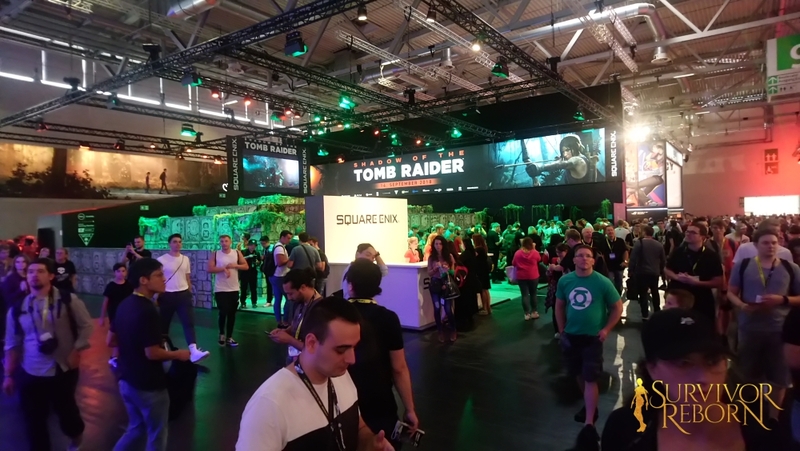 The main Square Enix/Tomb Raider booth in Hall 9. Putting up a valiant fight against the frizz and the heat! 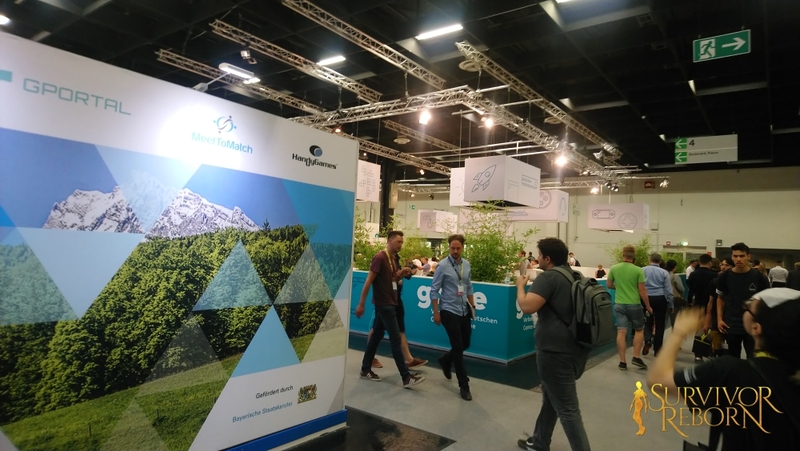 Hundreds of companies are represented at GamesCon. Lots of booths offered hands-on activities. 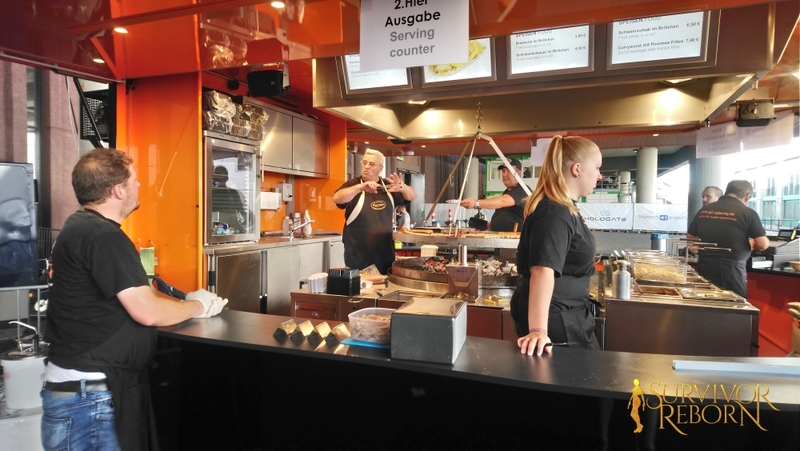 It might not be posh, but the smell and taste of currywurst brought back all my childhood memories… Sehr lecker! Selfie with Morrigan Johnen, tour-de-force extraordinaire! 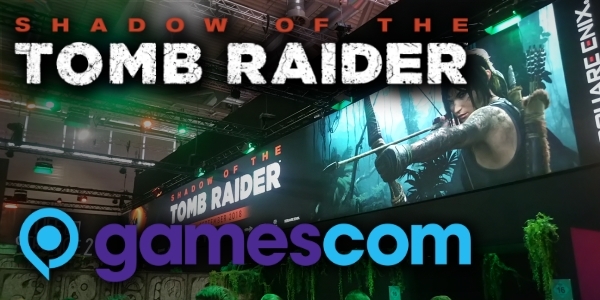 In the early evening, we assembled at the Square Enix for our chance to play the Shadow of the Tomb Raider demo, have a QA session with Lead Writer Jill Murray and Lead Level Designer Arne Oehme, and see some behind-closed-doors footage. 1) The footage was taken from quite late in the game; we saw Lara at the peak of her skills. 3) The environment – with its physics-based foliage and set-piece action sequences – was jaw-droppingly beautiful and extremely immersive. It feels incredibly atmospheric; in the case of this demo, there was an oppressive feeling to the colours and lighting that mirrored the “apocalyptic” storyline. 5) The highlight of the demo was a big set piece involving Jonah, the mysterious Dr Dominguez, a helicopter, a new as-yet unknown female character, and an impending volcanic eruption. We saw Lara use all her skills to outrun a mudslide and the destruction of a town/ruined area. The developers confirmed that they had reviewed and taken on board a LOT of fan feedback from the previous two games. Things that have been strongly requested – e.g. more and better swimming sections, customisable difficulties (especially with traversal and puzzles), plot-integrated and harder puzzles etc. – have all come from a conscious decision to act on feedback from the fan base. One of the biggest challenges was finding the right balance between combat, puzzles, and exploration (traversal). This game is roughly split equally between these three core mechanics (compared to Rise’s ~60% combat). There will be a co-op mode. When the session was over, we slowly (make that VERY slowly) made our way back to the hotel via the tram system. The Ambassadors were actually split between two hotels; those of us who were staying at the Dorint had an impromptu meal together as we all relaxed and digested our impressions of the convention. 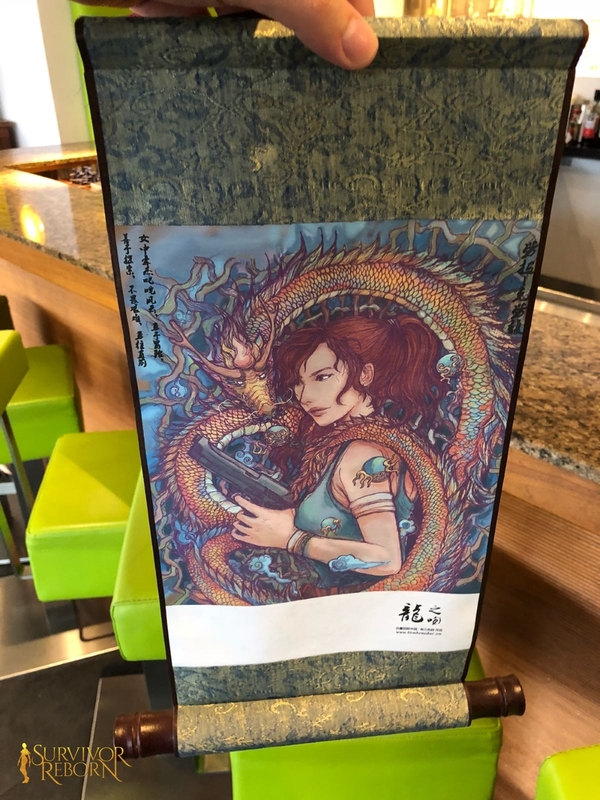 Image courtesy of Zou from Tomb Raider China. 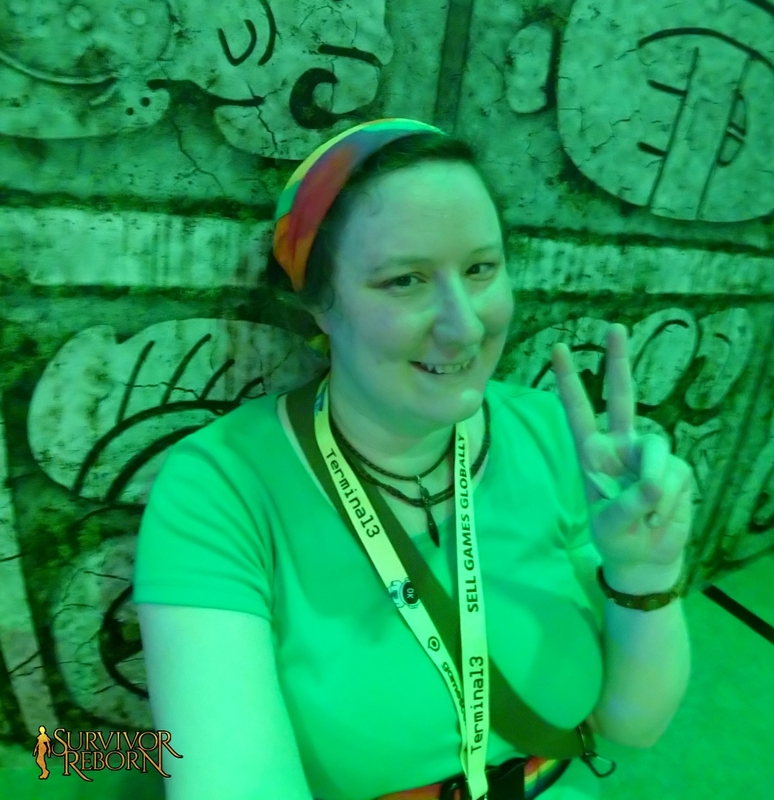 There was just enough time (and energy) leftover before bedtime to type up and email our impressions over to Morrigan Johnen, our Community Manager and event organiser. 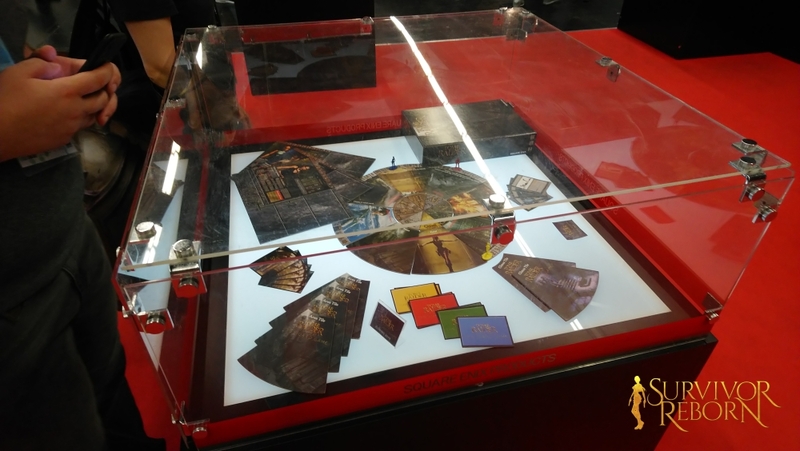 There were two main Tomb Raider-related purposes to today: one was the chance to try out the new Tomb Raider Legends board game that we’d seen in a cabinet the previous day, and the second was a community dinner at Peruvian restaurant, El Inca. As I mentioned before, today was to be a general admittance day: the crowds were set to be ten times larger and louder what we’d already experienced. With regret (I hate being prudent, sometimes), I decided to remain at the hotel and rest while others more fearless – and substantially more energetic – than I braved the crowds for a second day, so I would be able to attend (and, more importantly, enjoy) the community dinner that evening. I had, however, managed to snap a photo of the game the previous day. It contains renders from the entire franchise, not just one era. Jojo and other Ambassadors I spoke to afterwards said they really enjoyed it; that it was complicated but allowed for both teamwork and good old-fashioned backstabbing to win. Promising! 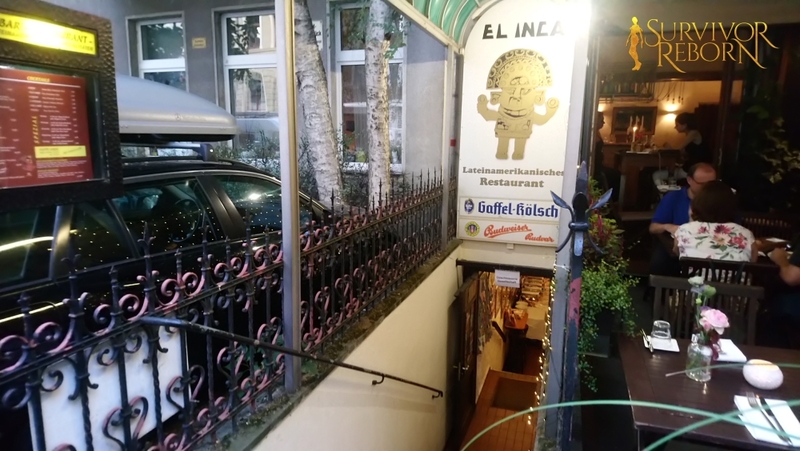 Around eight o’clock that evening, we summoned the taxis and made our way to the El Inca restaurant, on Görresstraße, about three miles from the hotel. You could almost walk past it without noticing, but seriously, if you’re ever in Köln, do yourself a favour and visit this place! The crew is assembling… Selfie time! 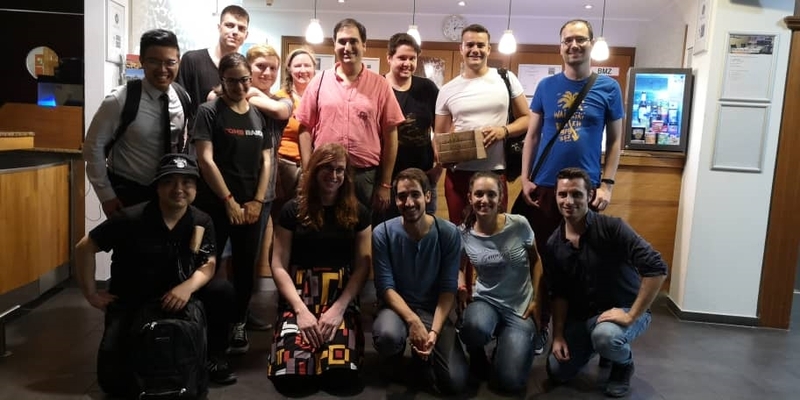 Ambassadors and Tomb Raider fans from all over the world assembled for this community dinner, and we were not disappointed. 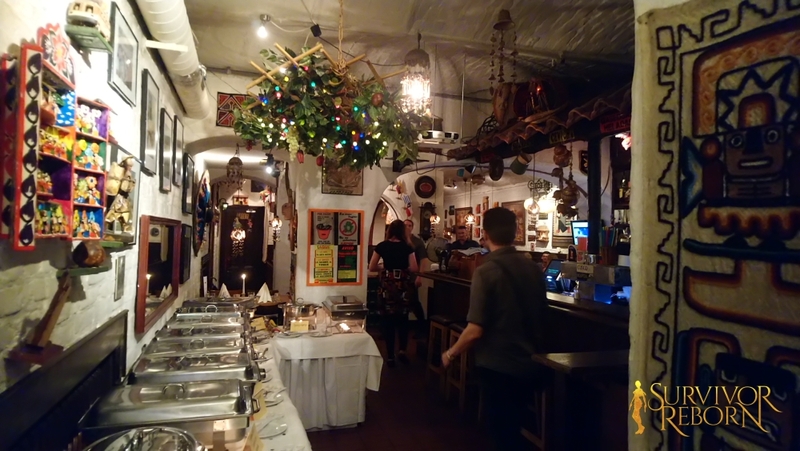 The entire restaurant had been booked for our group, and we settled in to chat for several hours with great food, great beer (seriously, Kölsch is THE best in the world, hands down), and great company (and great heat – man, it was hot down there!). The view that greeted us at the bottom of the stairs. I’m sure Lara herself would have cheerfully popped down here to relax after a hard day’s tomb raiding. 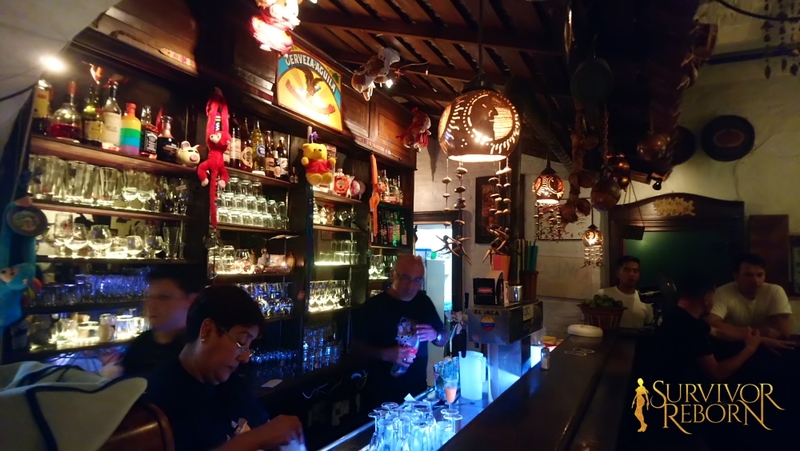 What better way to celebrate Shadow of the Tomb Raider than in a Latin-American restaurant?? 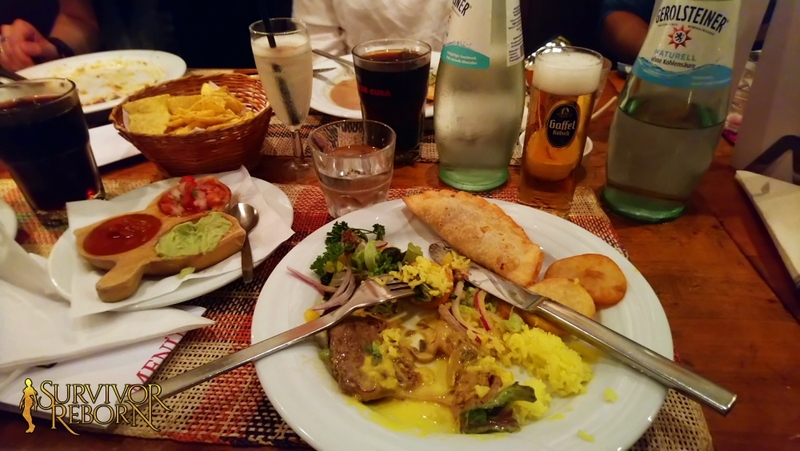 It’s worth coming to Köln just for the food, but you MUST try the local beer, Kölsch. 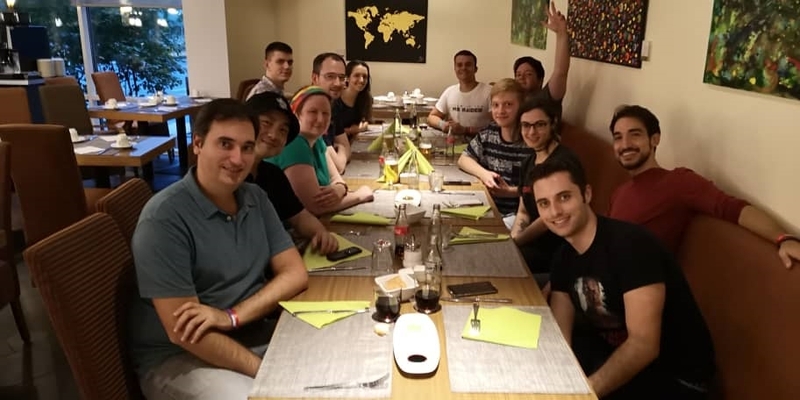 The meal was a great opportunity to meet some of the development team members, and connect with friends old and new. 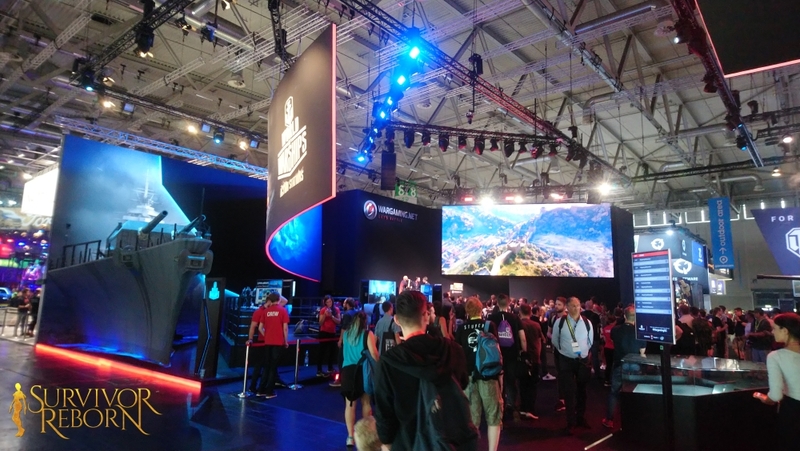 I was fortunate enough to chat with Jill Murray (Lead Writer), Nicolas Fusco (Development Tester), and our hostess and organiser, Morrigan Johnen (Community Manager). Their exuberance reaffirmed my sense that these people really do “get” Tomb Raider, and that Shadow is going to be a real treat. 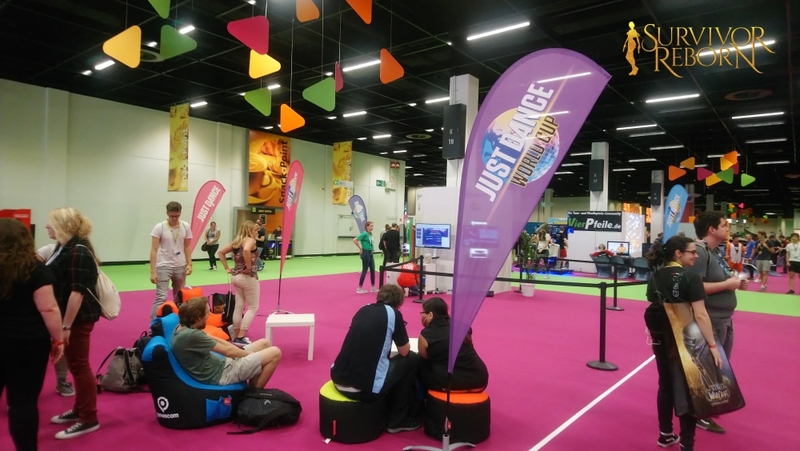 One of the joys of these community events is the way they allow for fans to connect and meet in person – something that might be difficult or impossible under normal circumstances. 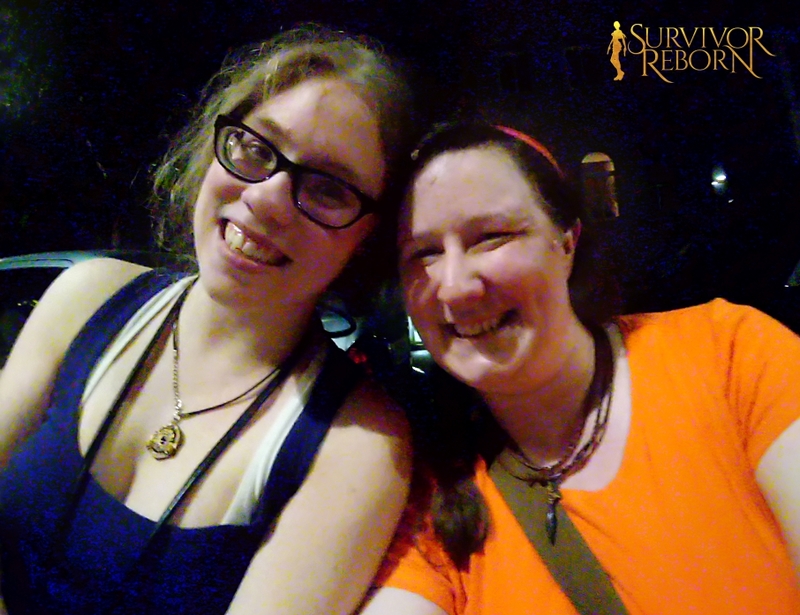 I made many new friends on this trip, and was blessed to finally meet several people whom I’ve known for a long time online, including Natla’s Number #1 fan: Fabi (@GLaDyGamer)! Wonderful memories were made on this journey, and will be treasured for years to come. 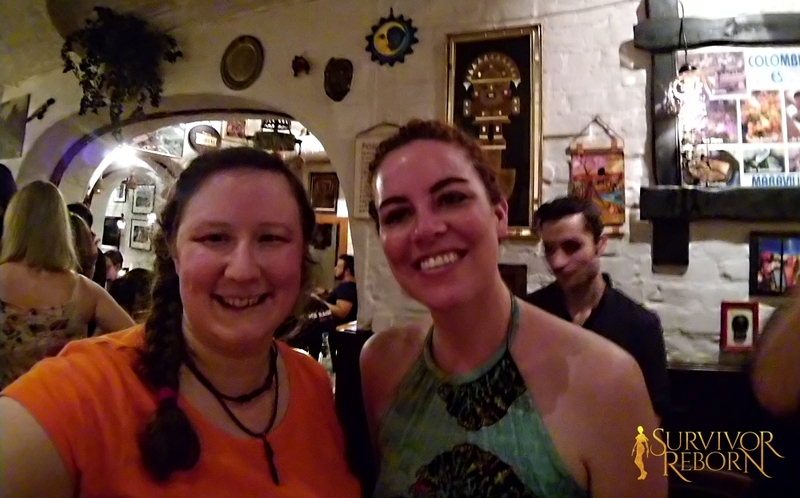 It was lovely to meet and chat with Jill Murray, Lead Writer on Shadow of the Tomb Raider. 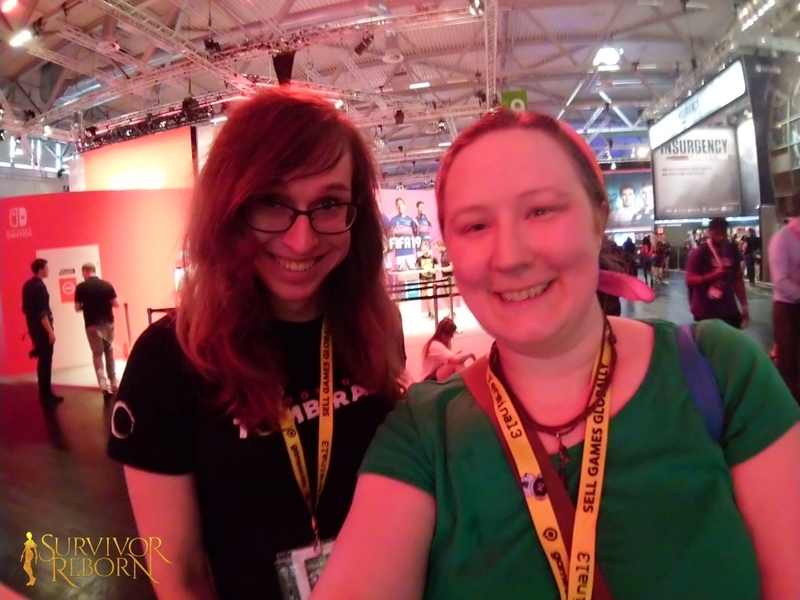 Fabienne (@GLaDyGamer) – we meet in person at long last! Wonderful to meet with Nicolas Fusco, Development Tester. 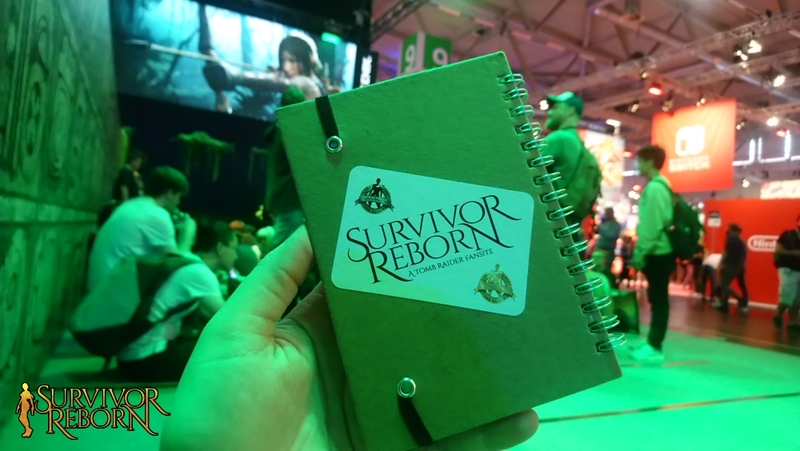 Morrigan also handed around loot bags to the Ambassadors; aside from being cool in themselves, the bags contained both Tomb Raider and Square Enix merchandise and keepsakes such as T-shirts, lanyards, and pins. These are a regular feature of the Official Fansite Program, but one we always look forward to! All good things must come to an end, however, and we did (eventually!) stumble back to the hotel. We gathered around for a final group photo, and then off to bed ahead of another day of travelling. 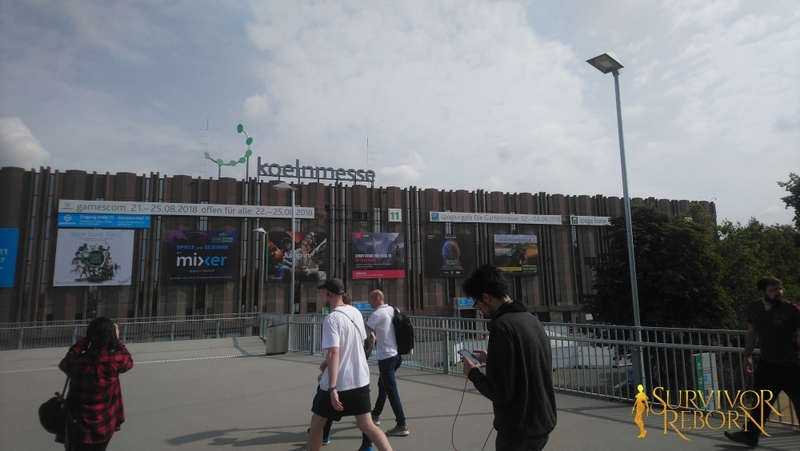 GamesCon 2018 OFP Ambassadors. Photo courtesy of Morrigan Johnen. After a final breakfast together, Jojo, Lucas and I bid everyone farewell (for now), and retraced our steps by taxi and train back to Düsseldorf airport. 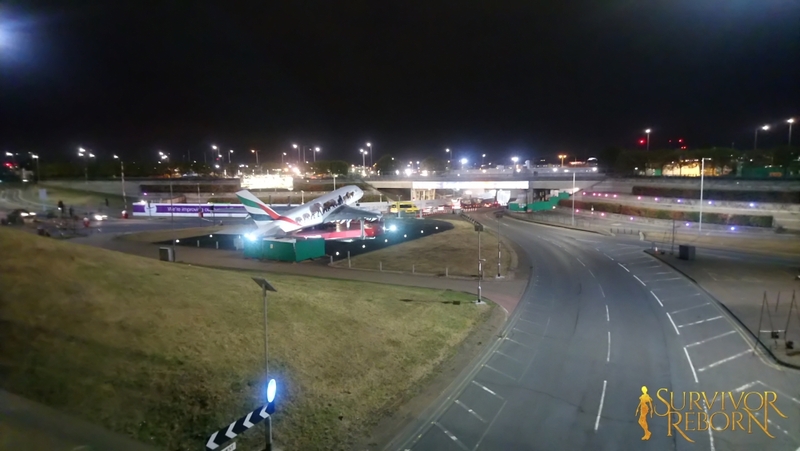 After a short flight back to Heathrow, we boarded the Underground and, one by one, went our separate ways home. I finally made it home late that evening and have since been basking in the glow from such an amazing trip. I’ve met old friends and made lots of new ones. I’ve been on my first proper “holiday” for ten years and, albeit briefly, returned to a country I love. I’ve been exhausted, overwhelmed, and deeply moved by this adventure. What I have seen of Shadow and its creators fills me with great optimism. Although constrained to some extent by the foundations established in the reboot and Rise, I feel that Eidos Montreal have finally cracked the Tomb Raider formula and created something very special. Lara feels more rounded and less whiny: a competent and confident adventuress who is determined to right her inevitable wrongs. The game visuals are colourful, atmospheric, and sublimely detailed. What I have heard of the music and SFX immerses you deep in the South American jungle, with its heady mix of danger and beauty. While the real judgement is in the playing and completion, I am genuinely excited and feel like part of Tomb Raider’s long-lost joy has finally been given a place to shine. 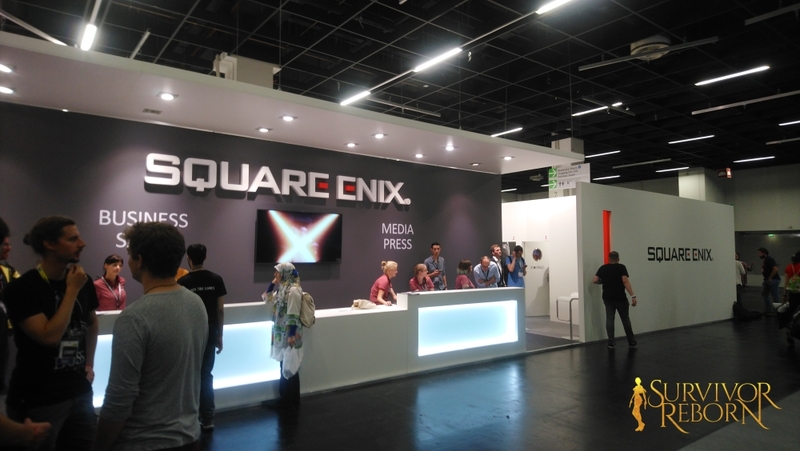 Enormous thanks and kudos are due to Square Enix for sponsoring my trip. Specifically, thanks to Meagan Marie and especially Morrigan Johnen for their tireless work organising everything and making everything go smoothly. (I don’t care what you say, Morrigan: coffee can only take you so far, and you went much further 😉 ). Written and edited by J. R. Milward. Video edited by Chris Carpineti (follow link for full credits). 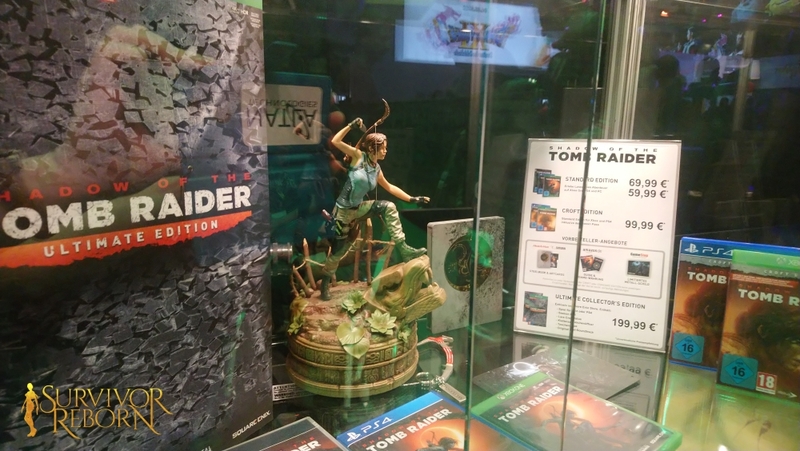 GamesCon 2018 and Shadow of the Tomb Raider by J. R. Milward / Survivor Reborn is licensed under a Creative Commons Attribution-NonCommercial-NoDerivatives 4.0 International License.